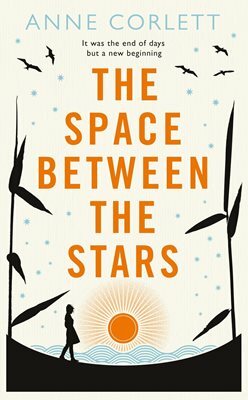 Congratulations to Anne Corlett, who won 3rd prize in our 2013 competition, on the publication of her first novel, The Space Between the Stars. 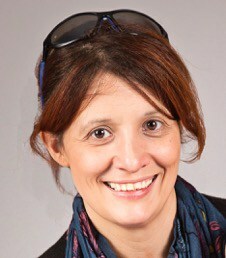 Alice Jones finds out more about the novel and Anne’s writing. Your brilliant story Why I Waited, received third prize in our 2013 competition. Do you have a preference for writing in the short story or novel form? I like them both for different reasons. I tend to write long and edit down, and that process is much more intense within the shorter framework of a short story. There’s something very satisfying about paring away things that you originally thought were essential, and finding your way down to the heart of the story. That process isn’t quite so tight with a novel, but you do have more freedom to explore ideas and themes that might would only be hinted at within a shorter piece. I’ve never got to grips with flash fiction, but I’m hoping to give it a go! You came back to writing in 2011, after ten years as a criminal lawyer. Did you initially find it difficult to start writing again and did your time as a lawyer influence your approach to writing? What led you to write a science fiction novel? I didn’t really set out to write science fiction. The setting came about in response to the themes I wanted to explore. The only way I could make the main character face up to the very real prospect of complete and unending solitude, was to set the opening of the novel on another world, separate from Earth by the vacuum of space, and by vast distance. Were any of the characters or incidents inspired by your own experiences or people that you know? There are a few moments in the story that come from real life, but I don’t tend to use real incidents – or people – in their entirety. For example, there is a funeral in one of the short memory sections, which was a blend of three funerals I’ve attended myself. Is there a particular message that you hope your readers will take away from The Space Between the Stars? I’m not sure about a message, but for me the main theme is the idea that our lives are made up of fragments of experience, and that we are always looking for a way to piece those moments together into a coherent pattern. How do you know when a something is finished? Do you find it difficult to stop editing your work? Because I tend to have to edit down for wordcount, there generally comes a point where I have removed every word that can possibly be removed. With The Space Between the Stars I had a target wordcount, as the publishers wanted to release the book as a demi-size hardback, so I kept going until I really couldn’t take anything else out. Fortunately that was the point at which they said ‘Close enough’! How much do you think about your readers when you are writing? I think you have to write for yourself, first and foremost, but you do need to have some awareness of potential readers. I sometimes write a sentence and then think ‘I’d be rolling my eyes if I were to read this’, and out it comes! What does your working day look like and how do you typically approach writing? I usually write during the school day, between dropping the boys off at school and nursery and picking them up. I’m quite a ‘fidgety’ writer, so I don’t always write in the same place. Sometimes I’ll go and sit in a café in town. Sometimes I write at my desk upstairs. Sometimes I use the kitchen table. If it’s nice weather, I might go up the garden. I generally use two or three different writing locations on any given day. Would you mind telling us a little about any projects you are currently working on? I’ve returned to the project that I put on hold to write The Space Between the Stars. I was struggling with it at the time – there are about ten different versions of the opening chapter – but I think I’ve just about wrestled it under control. It’s set in the strange world of immersive theatre, and it was inspired by a certain very strange evening at an immersive show in London, involving a fairytale, a pitch dark basement and a dead horse!